On the following pages we will briefly explain, how you can make best use of the IT services at CAMPUS 02 and which contacts are available to you. Why do I need login data? Upon signing up or during the IT introduction you receive your personal login data. NOTE: Please change the initial password! To change or reset your password, click on this LINK. How can I log in to the domain “CAMPUS02“? Please enter your login data into the fields on the login page. 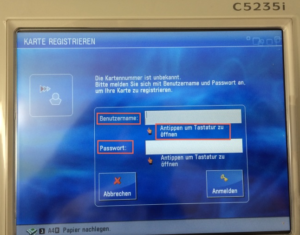 Depending on the computer used, it is possible that you have to enter the domain manually (“campus02\”). We ALWAYS recommend entering the full user name with “campus02\”. If you have forgotten your password, please visit our Password Management in online.campus02.at to reset your password. 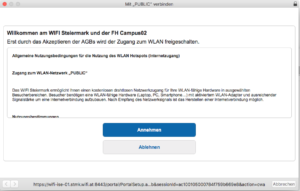 How can I access the WLAN? 1.) 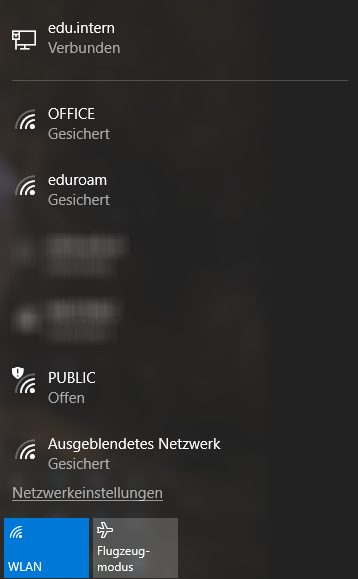 Click on “Network” in the task bar, choose PUBLIC and click “Verbinden” (“Connect”). 3.) You are now logged in and are forwarded to the website. 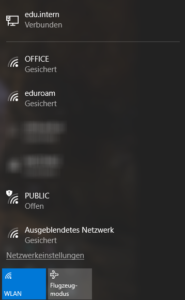 eduroam stands for “EDUcation ROAMing”. The eduroam initiative is a worldwide association of universities and universities of applied sciences that offers university staff and students free access to the internet. 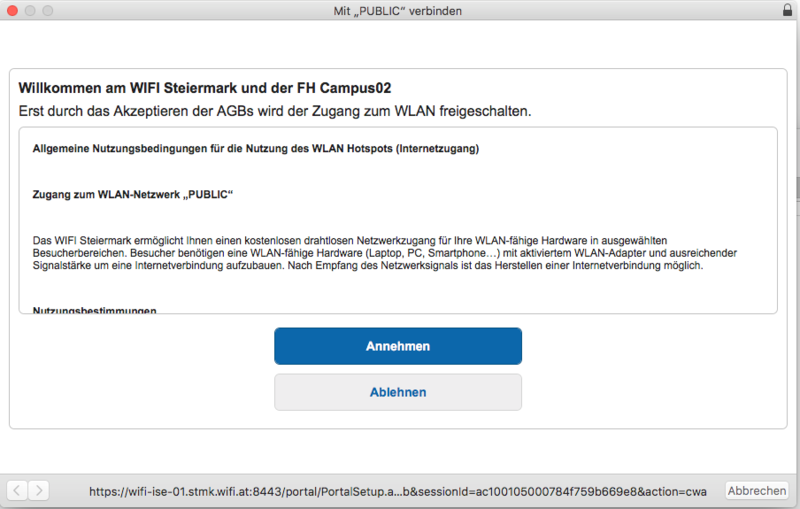 With eduroam it is possible to access the WLAN of a partner organisation with your CAMPUS 02 log-in data and without having to change any settings. In exchange, staff and students from partner organisations can access CAMPUS 02’s WLAN. 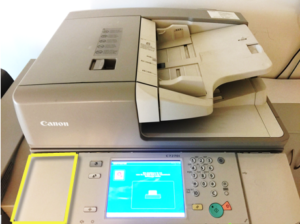 How can I print documents? The documents are sent from the PCs in lecture halls or open-access areas to the FollowMe printers. 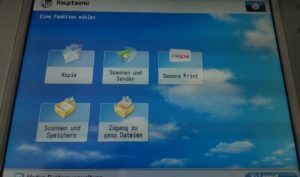 There are three printers: one in the entrance hall in Zusertal on the ground floor, one in Zusertal on the first floor under the stairs and one in the area between WIFI and Piazza. FollowMe means that you can print documents using any printer – you do not have to think about where you will have to print your document(s). Prior to your first upload you have to register once at the printer with your student ID. 2.) Type in your username and password and press “Log in” (“Anmelden”). Now your student ID is linked to your account . The card has to be registered (see “registering a card”) before you can add money to it. 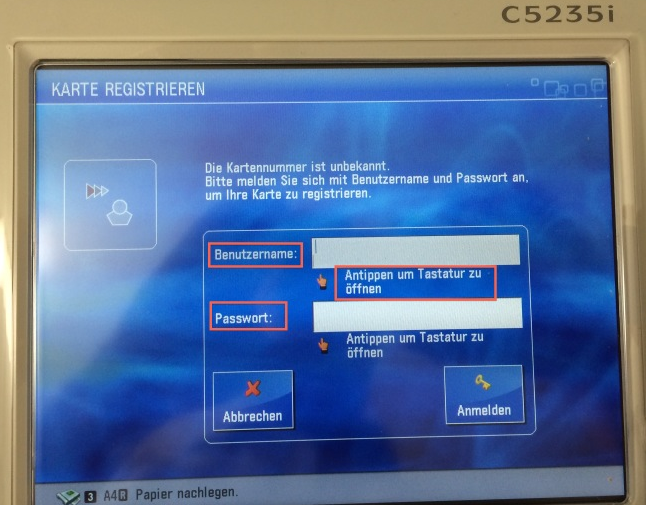 Follow the instructions on the Moneyloader. 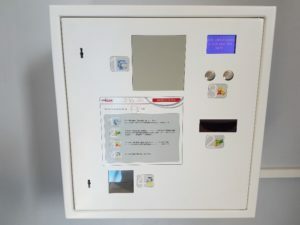 You can pay with 5, 10 or 20 Euro notes. Money that is left on the card cannot be refunded; it will be used as a donation to CAMPUS 02’s charity project “Campus 03”. Use the “Duplex” function (printing on both sides) to lower the costs by EUR 0.02 per page. It is possible to print from private devices (notebook, mobile phone, tablet, etc.). Send the document (PDF, DOCX, PPTX, TXT, RTF) to printme@edu.campus02.at as an attachment using YOUR CAMPUS 02 EMAIL ADDRESS. 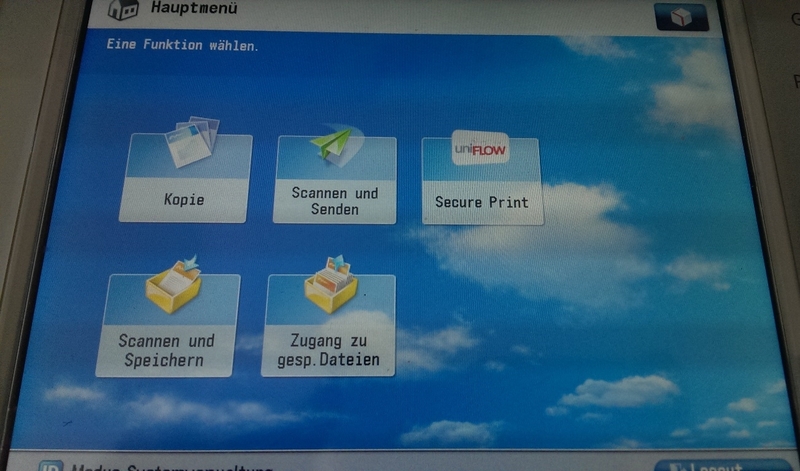 The print job is then sent to the printer and can be accessed in “Secure Print”. VPN is an interface between your private and an external network. You are connected with CAMPUS 02’s network via the VPN and you can use services that are normally only possible with CAMPUS 02’s network. 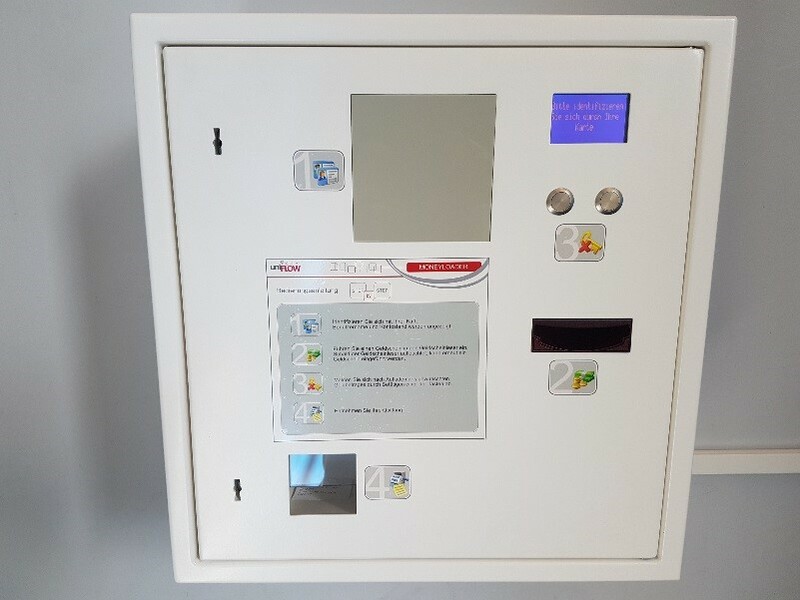 For example, if you would like to use CAMPUS 02’s library access data or need access to special internal systems of CAMPUS 02, the computer you are using might need to be integrated into CAMPUS 02’s network. To do so, you can use VPN. Visit https://vpn.campus02.at and log in with your user data. If necessary, a VPN client has to be installed on your computer. Students and part-time lecturers have the option of logging into CAMPUS 02 Microsoft terminal server via the Microsoft Remote Desktop Client and use different programmes. Use the remote desktop client of your choice (integrated in Windows, for free in the App Store for OSX and free for Linux) and log in with your username/password on remotepc.campus02.at. CAMPUS 02 takes part in the Microsoft programme “Office 365 Education“. CAMPUS 02 offers a Microsoft Office 365 account to students for the duration of their studies and to lecturers during employment as teaching staff. 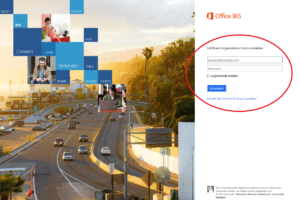 Office 365 offers email and calendar administration, a platform for creating, editing and saving documents and services for real-time communication and web conferences. 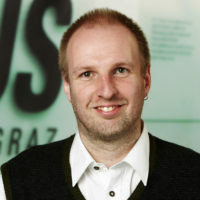 For more information on Office 365 please visit http://www.microsoft.com/de-at/education. How can I get access to Office 365? The portal allows you to download recommended software and change the account settings. Get direct access to email and calendar administration here: Office 365. NOTE: All required links can be found in our student portal (http://online.campus02.at). To configure email clients for your email account, please sign in as described in “How can I get access to Office 365?”. On the homepage you can find information on how to set up your email account. Procedures for setting up different email clients are described on different platforms. How can I configure direct forwarding of emails to another email account? What is OneDrive and what’s it for? OneDrive is a service for storing and sharing files, similar to Dropbox. The storage available is 1 Terabyte. OneDrive can be opened via the tiles on the homepage of Office 365. Under applications you can find your PC’s client for synchronising files: OneDrive for Business. Your Microsoft Office 365 account also includes a Skype for Business account. With Skype for Business students and part-time lecturers are offered a comprehensive communication solution. They have access to functions such as chats, audio and video calls, online meetings and web conferences (e.g. virtual classroom). For more information on Skype for Business features, click here. The software can also be used on your smartphone (iPhone, Android or Windows Phone). To use it, download the app Skype for Business onto your smartphone operation system. Students can set up one Microsoft SharePoint website per academic year. All students of the same year are SharePoint Administrators and can use the website to store data, create forums and more. If lecturers would like to exchange views and information with students of the academic year via SharePoint, the students will need to configure the settings themselves and invite the lecturer. The team website is accessible via the Office 365 Portal. Click on open SharePoint homepage or click on team website in the header. Here you can see an overview of all years, but you can only administrate your year. Find configuration support for the SharePoint server here. If you do not have the option of using a supported browser, then you can use our terminal server. You will need to connect to the VPN and with Microsoft Remote Desktop Client (integrated in Windows, for free for OSX in the App store and free for Linux) using “remotepc.campus02.at“. Log in with your username and password.